Foster-Powell is in the southeast quadrant of the city, south of Mt. Tabor and west of I-205. The wide variety of homes in this area range from bungalows to Tudors and everything in between. There is a wonderful Foster-Powell Neighborhood Association, as well as a neighborhood blog. 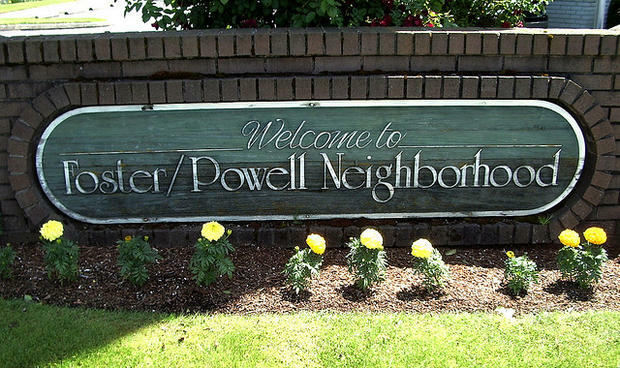 The Foster Powell portion of Portland's City website encourages neighborhood involvement, and Foster-Powell even has its own Facebook page. Lents, just east and south of Foster-Powell, straddling I-205 is known as an up-and-coming area of the town,, with a wonderful neighborhood park. Lents also has a spot on Portland's website, as well as its own neighborhood site. To see the listings on their own page, click this link: Foster Powell and Lents Homes for Sale.